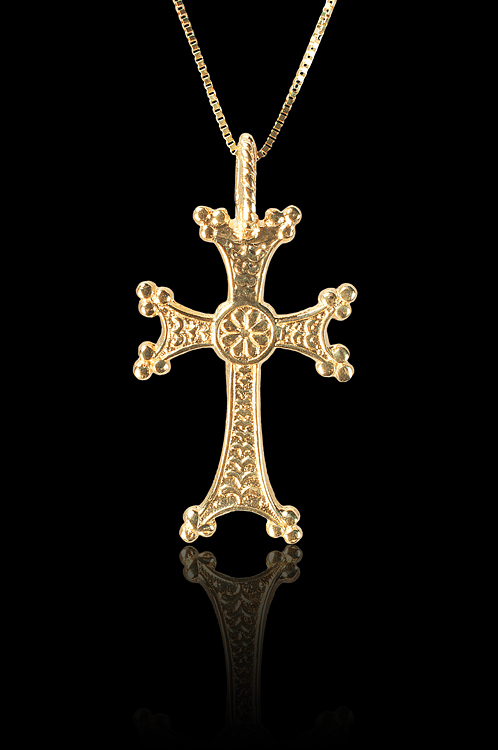 This 14 karat gold Armenian cross measures 1 inch and has ?. ???????? (Holy Etchmiadzin) engraved on the back. Chain sold separately.